Jezreel was surveyed by local archaeologist Nehemiah Zori beginning in 1941. Zori was the first to document evidence of early occupation – including lithics dating to the Paleolithic, Mesolithic, Neolithic and Chalcolithic periods – near the spring and in the uncultivated area that overlooked it: the masha’ (our Area S). In 1987 and 1998, the Israel Department of Antiquities conducted the first excavations at the site in preparation for a museum (that was never built) immediately east of the tel. Archaeologists revealed two tower-like structures on the northeastern and southeastern corners of the tel, exposed a section of the moat, and unearthed Iron Age, Hellenistic, Roman, and Byzantine installations and artifacts. This limited exposure led to the establishment of a large scale excavation led by David Ussishkin on behalf of Tel Aviv University and John Woodhead of the British School of Archaeology 1990-1996. 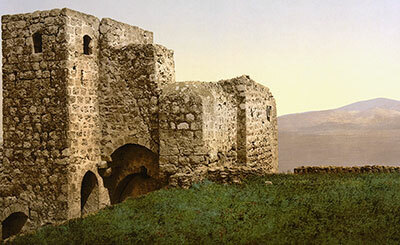 The team focused on the summit of Tel Jezreel, where they uncovered the poorly-preserved remains of a walled compound ca. 45 dunams in area that was surrounded by a rock-cut trench or moat and protected by a four- or six-chambered gate. Their results (which have only been partially published) have been used as an anchor for the chronology of the Iron Age; however, their conclusions were based primarily on the biblical narrative due to the poor state of preservation of the archaeological remains on the tel. They attributed the compound’s construction to the Omride Dynasty ca. 880 B.C.E., while a limited destruction, visible in the compound’s southeast ern tower, was attributed to Hazael and the Arameans in the latter part of the 9th century B.C.E. Since the last field season at Jezreel, new evidence regarding Iron Age chronology as well as the social and military structure of the northern kingdom of Israel has been provided by the excavations of Iron Age strata at Megiddo. These new insights, combined with recent stratigraphic analysis of Iron Age Samaria, have a direct bearing on our understanding of Jezreel. One of our goals in future seasons is to understand the extent of Jezreel during the Iron Age and excavate in newly-identified areas to examine the chronology of the site during this important phase of its existence. Although the previous excavation project focused on the tel in the Iron Age, various sources suggested that the site was inhabited almost continuously from late prehistory to the modern era. During a foot survey in 2012, and excavations in 2013, the Jezreel Expedition team collected surface pottery dating to the Late Neolithic, Chalcolithic, Early Bronze Age, Intermediate Bronze Age, Iron Age, and Byzantine periods. Cave and cist tombs ranging in date from the Middle Bronze Age to the Byzantine period were documented, as well as architectural elements from the Medieval to the Ottoman period; all testifying to the uninterrupted existence of Jezreel in the longue dureé.